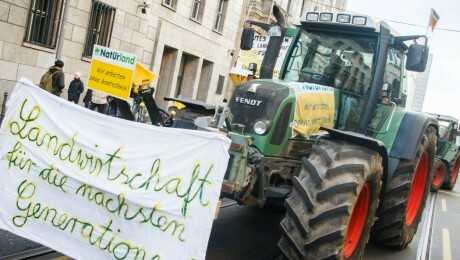 Landwirte, Imker, Verbraucher, Tierschützer und Umweltaktivisten demonstrierten am Wochenende in Berlin für eine Agrarwende und gegen Massentierhaltung, Gentechnik, Pestizide und Spekulation. 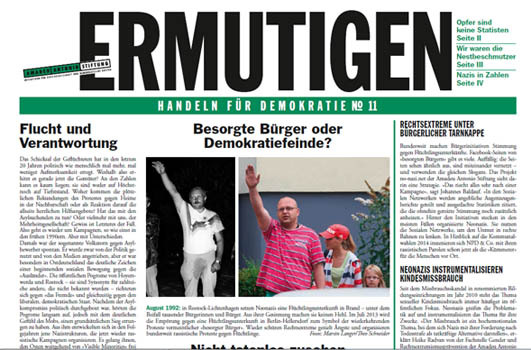 30.000 Öko-Aktivisten demonstrierten am Samstag am Rande der Grünen Woche für eine neue Agrarpolitik. 4.21pm GMT Meanwhile in Berlin….. 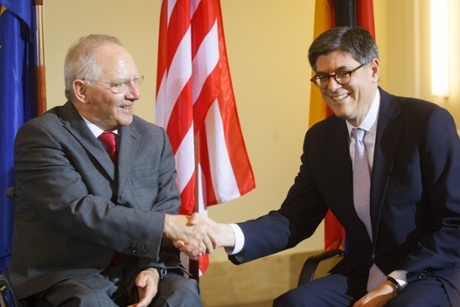 Missed this earlier --the US Treasury secretary has renewed the pressure on Germany to do more to help its neighbours by stimulating its domestic economy. 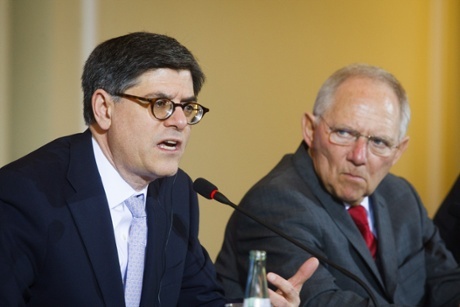 On a visit to Europe, Jack Lew told a press conference in Berlin that Washington believes more internal demand within Germany would be good news for the whole region. We continue to believe that policies that would promote more domestic investment and demand would be good for the German economy and the global economy. 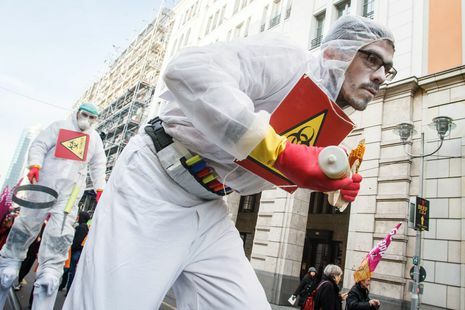 „The eurozone as a whole has a very small surplus …. and without the German surplus toward third countries, the eurozone would have no surplus at all, but a deficit.